“I’m going to start a craft brewery.” It seems simple enough — an idea homebrewed through a combination of passion and entrepreneurial will. Like most aspirations, that simple statement quickly evolves into a complex equation of brewing and business. Luckily, education programs that cover everything from the basics of brewing chemistry and brewery ownership to beer education and continuing education are growing in popularity. Craft brewing is serious business, and if you want to be successful in the increasingly competitive industry, knowledge can be your advantage. Whether you’re a new brewer with a dream or an established craft brewer looking to expand your horizons, Craft Brewing Business has you covered. We’ve culled together a guide of education programs from around the craft beer industry. Check out the history, courses and special events, speakers and more that the industry’s best brewing education programs have to offer. The Beverage Business Institute tours Odell’s Brewing. Background: The Certificate in Beverage Business Management was started along with the Beverage Business Institute in the spring of 2011. 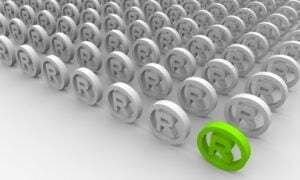 The certificate is a not-for-credit program that covers all of the subdisciplines of business. While the class session content has applicability for people in all aspects of the beverage business, it does focus on a combination of supply side and distribution issues. One of the major objectives of the BBI is to provide more of an understanding of each of the three tiers and how they interrelate with one another. To this end, vendor and customer relationships are an important part of the class content. Courses: Class sessions include such topics as marketing, sales management, branding, supply chain management, demand management, finance for non-financial managers, conflict management, history and future of the three tier system, the history of beer, sustainability, creative decision making, strategic management and others. While the BBI does not teach brewing, every afternoon the workshops visit breweries, distributorships and other related businesses such as water conservation and water management companies, as well as the distribution center for Wal-Mart. The BBI often visits New Belgium, Odell’s, Pateros Creek, Fort Collins Brewery, American Eagle Distribution, High Country Beverage (distributors), The Mayor (named one of the top beer bars in America), High Hops, and other breweries and business in Northern Colorado. Speakers and special events: Industry speakers from the supply side (brewing), distribution and media make up the BBI’s keynote and featured speakers. Kim Jordan, chief executive officer of New Belgium; Wynne Odell, chief executive officer of Odell’s Brewing; Harry Schumacher, publisher of Craft Beer News; Ken Smith, trainer at Boston Beer; and many others. Schedule: The program lasts 10 months with workshops held quarterly. Participants attend classes Wednesday morning through mid-afternoon on Friday four times per year (November, February, May and August). Each workshop (three days) is $1,350, which includes classroom materials, continental breakfasts, lunches, breaks and tours. Arrangements are made with local hotels for reduced rates for BBI participants. Upon completion: Students earn a Certificate in Beverage Business Management. More details: www.csuBBI.com or contact the BBI by phone at: (970) 491-6265, Professor and Director Jim Francis, or (970) 491-1885, Assistant Director Felicia Zamora. U.C. Davis students at work in the university’s brewery. Background: Brewing has been taught on campus at U.C. Davis since 1958 and is the longest standing brewing program in a top flight university in the United States. It was started with the major involvement of the Master Brewers Association of the Americas and with the donation of the first pilot brewery by the Lucky Lager Brewing Co. There is a bachelor’s degree in food science with a brewing focus, and it is designed around a four-year period as an undergraduate at U.C. Davis. It is also possible to come to U.C. Davis as a master’s student for a two-year program that involves all the relevant classes plus a detailed research project. Courses: There are three major brewing classes on campus, plus all the breadth and depth of other classes, including chemistry, biochemistry, microbiology, engineering, sensory science, quality assurance, statistics, etc. There is a large lower division of general education brewing classes in which all the basic aspects of the global brewing business are covered. Students hear from major figures in the industry, covering the brewing philosophy of very large companies, larger craft companies and smaller craft breweries. Then there are two upper division classes: one in the classroom that covers the intricacies of everything from barley all the way through to beer in the body, and one in the brewery and laboratory, which includes a lot of hands-on practical brewing. Speakers and special events: Excellent facilities including a state-of-the-art 1.5 barrel brewery and four smaller breweries. Close links with companies large and small lead to tours, internships, guest speakers, joint projects. Opportunities for undergraduates to work in the research laboratory and to assist with brewing projects undertaken with the industry. Schedule: Four-year undergraduate and a two-year master’s program. Upon completion: Bachelor’s of science in food science. Students pursuing other relevant majors, such as chemical engineering, can also take the brewing classes. At the graduate level, a master’s of science. More details: Visit faculty.bftv.ucdavis.edu/fst/Bamforth/ for cost information, visit admissions.ucdavis.edu/cost/. Background: “I developed the brewing program on the U.C. Davis campus in 1962, then the Intensive Brewing Science for Practical Brewing course in 1975 and the Master Brewers Program [MBP] both through UCDE in 1990. When I retired in 1995, I continued to run the extension programs to date,” explained Michael J. Lewis, academic director of brewing programs at the University of California Davis Extension UCDE. Courses: The MBP covers technical, scientific, engineering (process technology) and packaging. The program includes daily lectures, extensive reading tasks, discussion and a weekly written essay exam, as well as engineering homework and beer sensory analysis (i.e. tasting). Speakers and special events: Three to four brewery tours, weekly guest speakers, optional weekly brewing on a 70-liter pilot plant, optional internship and employment support via résumé booklet of the current class of graduates. All of the instructors are top brewing academics or distinguished practitioners. Schedule: The MBP is an 18-week program that meets full-time, Monday through Friday. The Professional Brewers Certificate Program is a 10-week program (the first 10 weeks of the MBP) and also meets full-time, Monday through Friday. Many students in the MBP opt for a two- to three-week internship. Upon completion: Students completing the first 10 weeks of the MBP (called the Professional Brewers Certificate Program) earn a U.C .Davis Certificate. This meets the U.C. Davis Academic Senate requirements for contact hours. At the conclusion of the 18-week MBP, students sit for the Institute of Brewing and Distilling’s Diploma in Brewing Examination (IBD DBE) in June for which they receive an IBD Diploma if they pass all three modules of the exam. Also, those passing all three modules qualify for a post-nominal — they can put Dipl.Brew, after their names. More details: Email Melissa Marbach, program manager, U.C. Davis Extension Professional Brewing Programs, at [email protected]. San Diego State University College students take notes during a tasting. Background: The San Diego State University College of Extended Studies’ Professional Certificate in the Business of Craft Beer is designed to educate and support the San Diego community through a Business of Craft Beer program that fosters personal and industry growth. The courses are aimed at students interested in starting their own brewery, those interested in gaining certifications such as Cicerone or Beer Judge Certification Program (BJCP), as well as those in the hospitality industry looking to gain education around craft beer. Courses: The courses offered are Exploring Craft Beer, Beer Styles 1, Beer Styles 2, Brewery Startup 1, Brewery Startup 2, Marketing Craft Beer, Beer and Food Pairing, Bar Management/Beer List Creation, and Sales and Distribution. Students are asked to do readings, take quizzes, do tastings outside of class, work on a business plan, prepare menus, etc. Speakers and special events: The SDSU Brewery Startup class includes a brewery tour, and the beer and food pairing class includes a pairing dinner. The university’s advisory board is extremely active in the community and works to feature wonderful guest speakers. Students get an opportunity to do tastings in class and network with their colleagues as well as industry experts. Schedule: Classes are held once a week from 6 p.m. to 9 p.m. and are six to eight weeks long. Level One is one academic year, Level Two is a year and a half. Online courses: Not currently available. Details: Visit the website at www.neverstoplearning.net/craftbeer and also check out the Facebook page at www.facebook/sdsucraftbeer and Twitter at @SDSUCRAFTBEER. SDSU also holds info sessions each semester at local breweries. Background: The American Brewers Guild (ABG) started in 1995. The guild developed the Craft Brewers Apprenticeship Program (CBA) to address the need for new brewers to have some practical experience and training upon graduation. It then developed the distance education version of the CBA to aid students of brewing science in obtaining that all-important qualification while working at their breweries or other jobs. 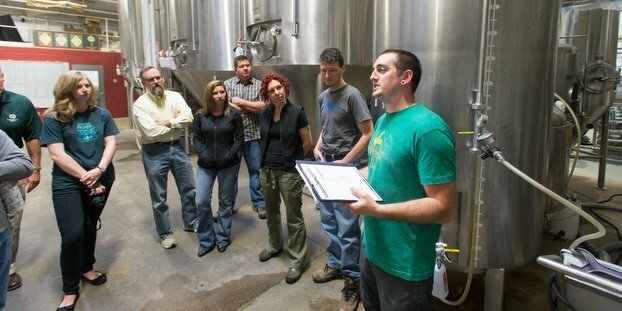 Courses: The Craft Brewers Apprenticeship Program prepares candidates for positions as brewers in brewpubs and microbreweries throughout the United States. The program combines intensive classroom instruction with hands-on brewery experience. The 28-week program is comprised of 22 weeks of intensive formal instruction in brewing science (e.g. chemistry and microbiology) and engineering, followed by a single week spent at a working brewery, then five weeks of practical on-site training as a working brewer at a host brewery with a selected guild-approved mentor. The IBS&E program is a 23-week program that coincides with the first 23 weeks of the CBA Program. The course is comprised of instruction in brewing science and engineering, including the theory, science and technology of brewing processes that convert barley to beer. Special emphasis is placed on practical issues such as raw materials quality and assessment, practical wort production, yeast propagation and handling, fermentation and finishing practices, including filtration, beer packaging and quality assurance. All these topics will be reinforced by engineering calculations, design problems, observation and demonstrations. Speakers and special events: The ABG has a full commercial brewery, Drop-In Brewing, full lab and classroom at its facility in Middlebury, Vt. The facility houses a combination of lecture and hands-on training. All instructors are also working professional brewers of allied trade professionals. Schedule: 28- and 23-week programs. Upon completion: CBA and IBS&E graduates receive a diploma and short courses receive certificates. CWU students learn about the craft beer trade using a variety of approaches including lab work, hands-on experience, lectures, field trips and industry speakers. Background: In response to the industry need, the Office of Continuing Education at Central Washington University (CWU) launched the Craft Beer Trade Certificate. Faculty for the program was recruited based on their areas of expertise, knowledge, experience and personal interest in craft brewing. The faculty and administrators consulted with local brewery owners during the formulation of the program to ensure the content included the knowledge and skills needed by the industry and their new employees. The Craft Beer Trade Certificate is for students with an interest in pursuing a career in the craft beer industry and prepares them for careers in a wide range of areas in the brewing and business sides of the industry. Courses: The certificate program provides an overview of the art, science, technology and business aspects of the craft beer industry. The certificate is composed of four courses totaling 16 credits and takes three quarters (30 weeks) to complete. It is a cross-disciplinary program involving faculty and courses from CWU’s college of the sciences and college of educational and professional studies. Topics include principles of malting and brewing, brewing process technologies, brewing microbiology and principles of merchandising management for the brewing industry. The program is designed to be challenging and interactive. Speakers and special events: Students learn about the craft beer trade using a variety of approaches including lab work, hands-on experience, lectures, field trips and industry speakers. The program is advised by a board of craft beer industry professionals. Members include brewery owners, presidents, general managers and head brewers, as well as professionals in public relations, the hop trade and beer-related industries. These members rotate every two years and bring real world information and advice to the faculty and industry connections for the students. Upon completion: Students receive a Certificate of Completion upon successfully passing all four craft beer courses. More details: Visit www.cwu.edu/ce/craft-beer-certificate and check out the Facebook page at www.facebook.com/CraftBeerEdu. The 20-week Master Brewer Program takes students to Chicago for seven weeks of brewing theory training. Background: John Ewald Siebel founded the Zymotechnic Institute in 1868, which soon developed into a research station and school for the brewing sciences. In 1872, as the company moved into new facilities on Belden Avenue on the north side of Chicago, the name was changed to the Siebel Institute of Technology. During the next two decades, Siebel conducted extensive brewing research and wrote most of his more than 200 books and scientific articles. Today, the institute has attracted an extensive global following. Its alumni span more than 60 countries and are found in almost every major brewery on earth. The classes include a mix of participants from breweries of all sizes who hail from locations all over the world. This broad base of participants enhances the learning opportunity of each student by exposing them to differences in culture, equipment, methods and beer styles. Courses: The Siebel Institute offers a very wide range of courses dealing with brewing technology, beer styles, distilling and other areas. The courses can be just a day or two long or they can be as long as the 20-week Master Brewer Program. Speakers and special events: The 20-week Master Brewer Program takes students to Chicago for seven weeks of brewing theory training and then to Germany for the balance of the course to do practical training. Upon completion: Certificate, depending on program. More details: Visit www.siebelinstitute.com or check out the full course listings at www.siebelinstitute.com/courses-a-programs/courses-in-english/programs-courses-by-date. For each exam, the knowledge required is outlined in a syllabus. There are three separate syllabuses, one for each level. For a full rundown of the syllabuses, check out the Cicerone website. The most popular education program prepares individuals for the first level certification exam where people earn the title of Certified Beer Server. That training program is called BeerSavvy. It is delivered online in an e-learning format that includes text, video, animations and interactive functions and it takes about five to eight hours to complete.